How to create a Blog Entry on Blackboard? Only your lecturer/tutor can create a blog, but after creation, you can create entries. The blog topics appear in alphabetical order on the Blogs page. On the Blogs listing page, click the name of the blog you want to access. On the blog's topic page, click Create Blog Entry on the action bar. On the Create Blog Entry page, provide a Title. 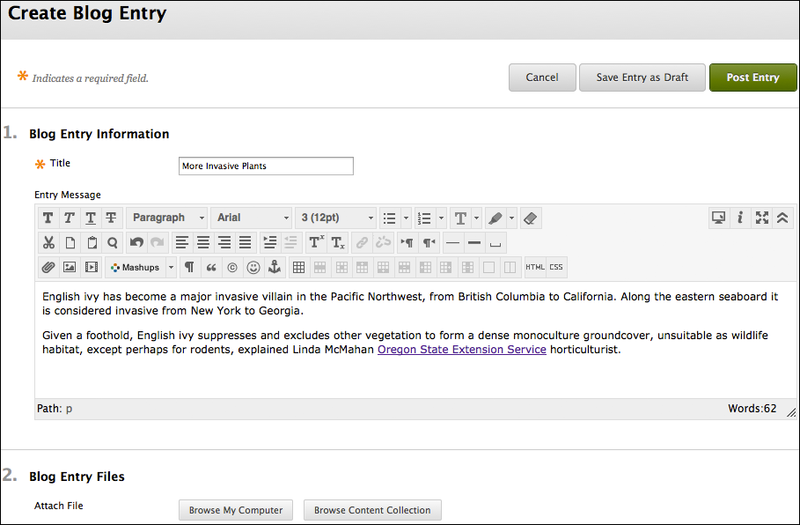 Provide text in the Entry Message text box. you can use the tools available on the text editor to insert images, media, tables, emoticons, change font size/colour etc.